Shakespuss - NYC to Edinburgh! 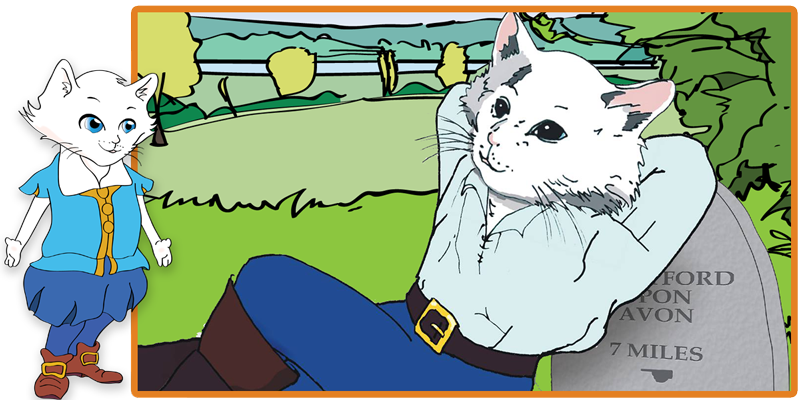 So this week sees the beginning of a whole new era for my little white cat - William Shakespuss. It is our intention that every child from as young as when they can sit up and look at pictures will learn to love and enjoy the wonder of Shakespeare's creative mind. So far we have had lovely messages of support and interest from all over the world, from Brisbane to Brazil, New York to Edinburgh. Keep watching this space for more great news.